Designed for family visits, the Hameau Dubœuf, between Burgundy and Beaujolais, is Europe’s only wine theme park. A place where you can have fun discovering the secrets of vines and wines. Can you discover the secrets of the vine and the vineyard from the age of three? The Hameau Dubœuf has taken up this challenge by becoming the first wine theme park in Europe, attracting 100,000 visitors a year. ‘I wanted to show lovers of fine food, walkers, or curious visitors, what happens behind the scenes of vines and wine,’ says Georges Dubœuf, the famous Beaujolais wine producer. Winner of the National Wine Tourism Award in 2010, the vine and wine theme park offers four different themed sites, covering 30,000 square metres, which you can explore all year round at the village of Romanèche-Thorins, between Burgundy and Beaujolais. ‘I wanted to show lovers of fine food, walkers, or curious visitors, what happens behind the scenes of vines and wine,’ says Georges Dubœuf, the famous Beaujolais wine producer. Flowers, fruit skins, spices, wood ... these are some of the scents you will discover in the garden at the heart of the vines, which takes you on a sensory tour of the aromas of wine. Rosalies, or quadricycles, are available to pedal between the vines, while children can ride the ‘sulky’ tricycles with their wooden horses or go on a treasure hunt. Old posters, bottle openers ... in the museum of the vine, a spectacular collection of 3,000 objects retraces more than 2,000 years of winemaking history. The making of casks, corks and bottles are just some of the many winemaking crafts which reveal their secrets. Children will enjoy the park’s many attractions, which include games, videos and interactive performances. 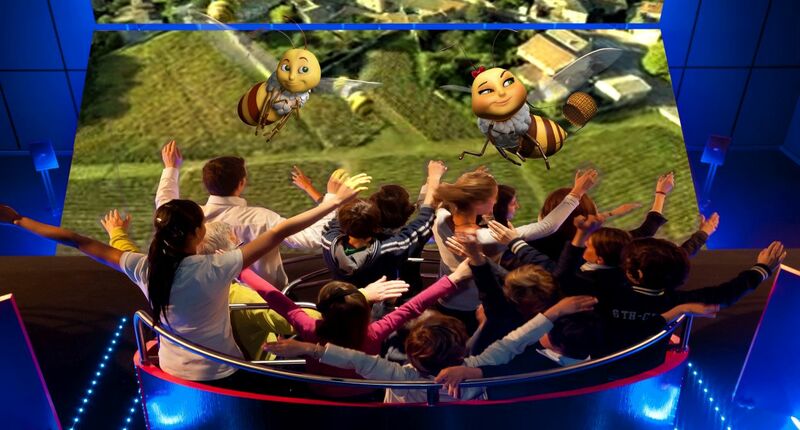 From the age of five, they can take a virtual flight over the hills and valleys of the Beaujolais and Mâconnais districts, thanks to dynamic cinema simulators. Then get aboard the little train from the real village train station, which has played a major role in the commercialization of wine, and head for the wine cellars where you will learn about the process of winemaking while surrounded by 150 stainless-steel vats. Feel a bit hungry? The Two Clocks Café offers a wide range of different meals that are well suited to wine tasting and is open from 10 a.m. to 6 p.m. Feel like shopping? A shop offers a selection of wines and regional produce with a wine steward on hand to give you advice.